The Basil Corsica XXL Bicycle Basket is an ideal choice for cyclists who need a considerable amount of storage as they go. Perfect for long overdue trips to the grocery store, commutes into school or the office, or cycling trips into the countryside, this bag will never let you down. Perfect for carrying a satchel or backpack, this basket boasts a generous internal capacity that means you’ll never run short of somewhere to place your essentials. 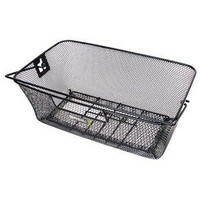 Made from fine-grained steel, this basket is also incredibly sturdy and built to last. The classic black colour ensures an easy complement to just about any bike frame too. Designed to fit against the length of your luggage carrier, this basket measures 51 cm and will become a firm favourite the moment you’ve installed it. Forget about overloading your back and shoulders with extra bags and say goodbye to awkward balancing acts with this essential piece of cycling storage. This basket features bevelled edges to ensure the basket doesn’t clip your ankles while you cycle, while convenient recesses allow for easy fastening with a spring clip. If you’re looking to attach this basket to the front of your bike, the necessary mounting items are all included. 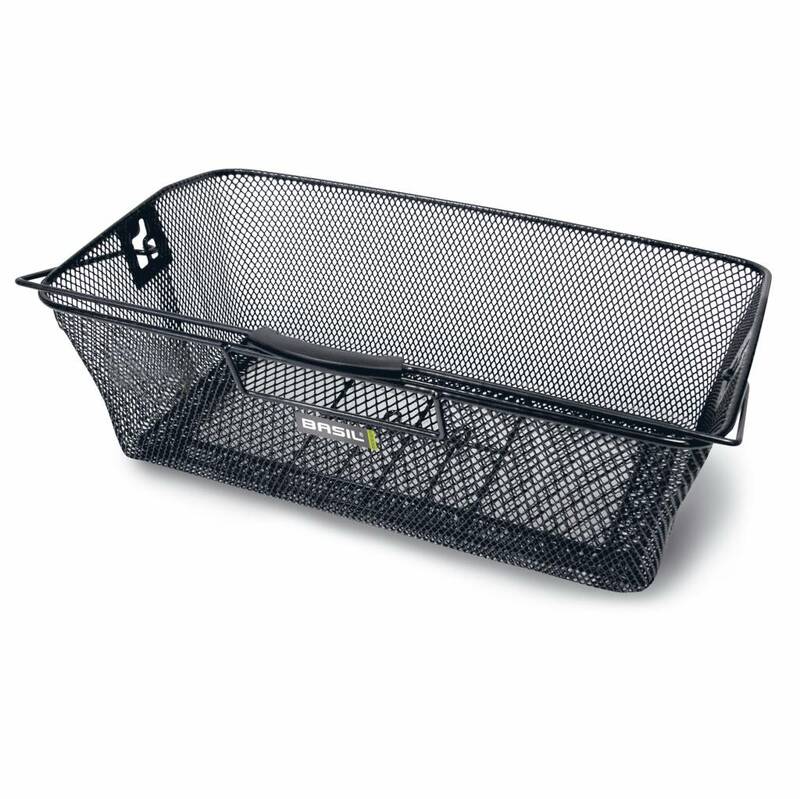 This basket can also be removed from the main frame when you’ve parked up, making it ideal if you’re worried about it being swiped by thieves or if you’re heading into the store and don’t want to fret with carrier bags. 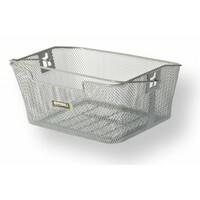 XXL basket with plenty of storage for groceries, office essentials and more. Easily connected to your bike with mounting fixtures included. Simply click the basket to detach it from your luggage carrier. Convenient handles for easy handling when you’re shopping.